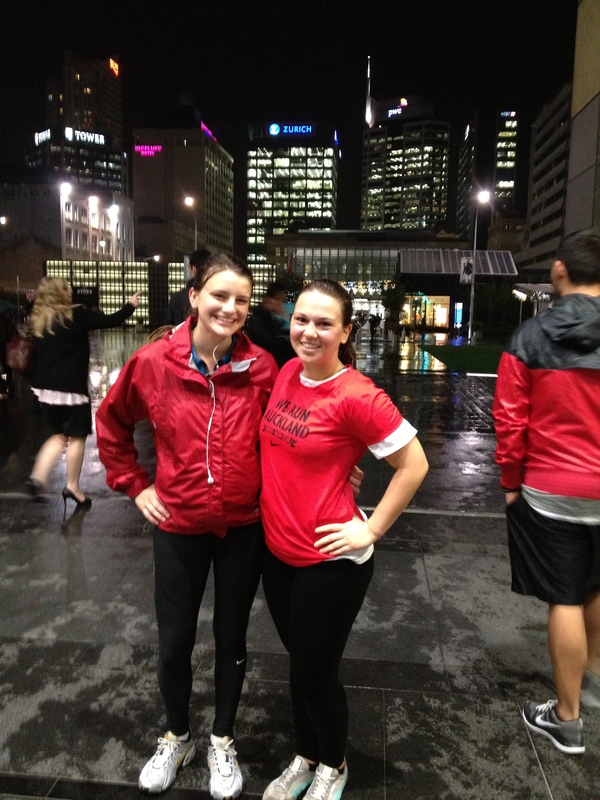 This week I participated in the Nike Britomart’s Run Club. I just found out about this on Monday and the run was on Wednesday, not much time to prepare for a 5K but I was going to give it a whirl anyway. On Tuesday I promised myself I would definitely run if it was nice out, it poured all day and night Wednesday so it was a very wet and slippery run. 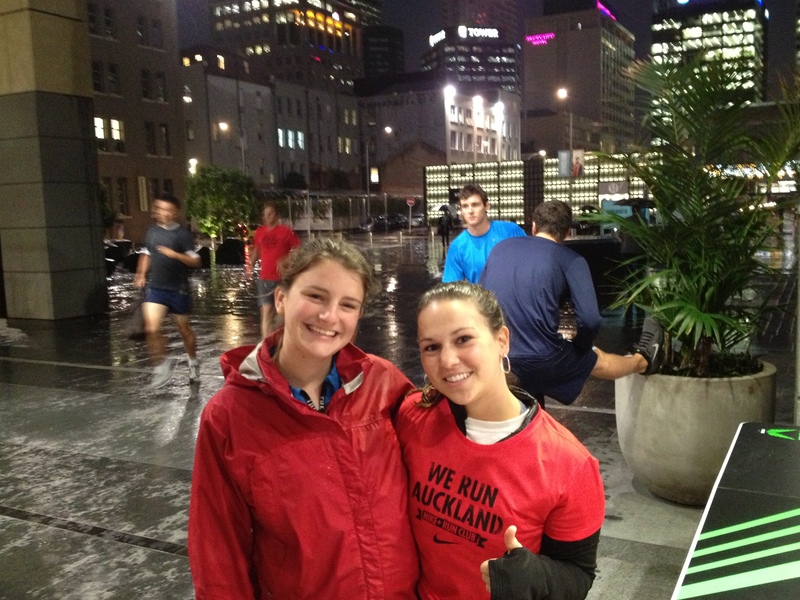 The Nike Run Club leaves from the Nike Britomart store every Wednesday evening at 6pm. It is a free 5K and 10K and the route changes every week. After our brief warm up they suprised us by saying this week we would be running a 6K. I didn’t think I could do 5 and now I am forced to do 6.. in the rain! I really doubted myself. Lyssa and I ran together and although we both listen to our iPods the entire time, we were great running partners. I really enjoyed the run and was very proud of myself when we completed the track! It was a little uncomfortable running in the rain because my shoes were soaking and heavy, but it stopped me from feeling my face burning from heat. The run was very fun and I will most certainly be at next weeks. This is a really great program that Nike has and it is remarkable how many people show up for the runs. I am looking forward to making it to 6 runs so I can get my free Nike Run Club shirt!